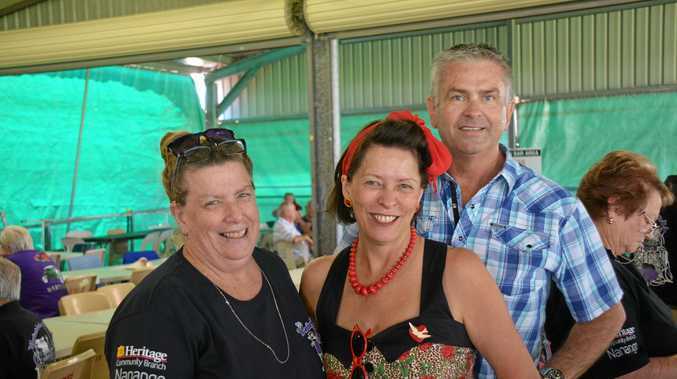 STEP back in time to the height of the rock 'n' roll era in Nanango this weekend. The seventh annual Waterhole Rocks campout weekend will take over the Nanango Showgrounds from October 19-21. The grounds will be transformed with 1950s outfits, music, rock 'n' roll dancing and plenty of classic cars to see. Organisers are expecting more than 1000 attendees to come and listen to the live music and see the hot rods, classic cars and vintage caravans. The vintage cars will go on a mystery car cruise on the Saturday morning, with a show and shine on the Sunday. The official opening will be held on Friday night at 6pm, with live music running throughout the whole weekend. A 1950s fashion competition will be held on Saturday from 5pm. Dance lessons will be run throughout the weekend, with music sessions held by the Stolzenberg Brothers, Jeff Hancox, Billy Guy, Little Stevie and the Tail Fins, Kenny and the Retro Rockers Dance Band, Arthur Nettlefield and a Band called Twang. Anyone interested in coming along could just show up at the gate, however it is best to book ahead of time. For more information or bookings call Sue on 0474266215.